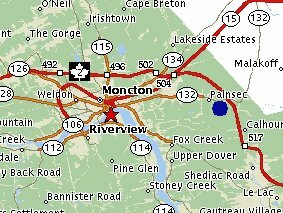 MONCTON NB From the west take exit 474, onto route 132, first left Babbin Road, Track at about 1/2 mile in. 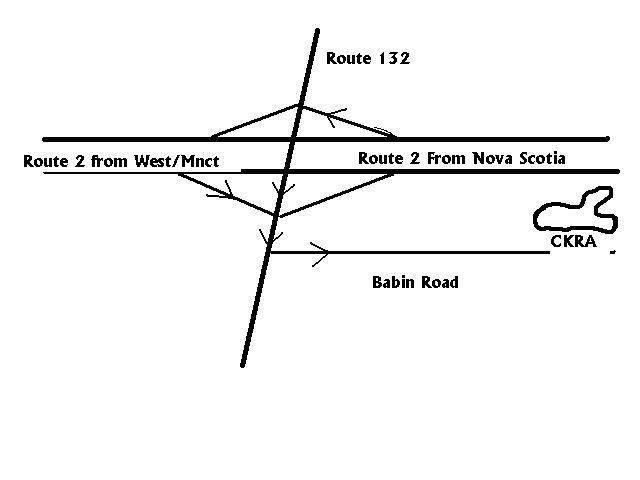 From Nova Scotia, exit 474, cross overpass, turn left onto Babbin Road. Shown as the blue dot.